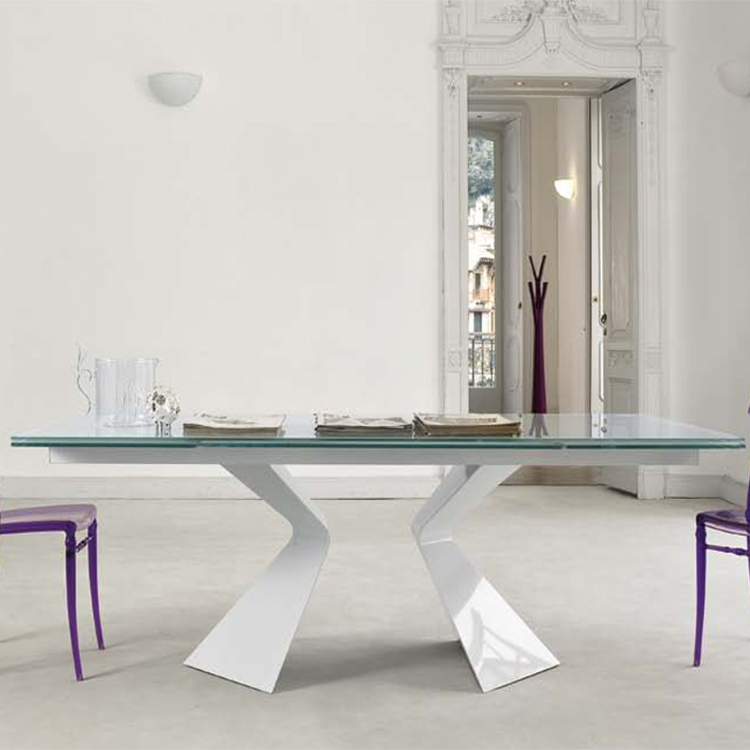 Extending dining table with 12mm thick glass top and extension leaves, available in black or white. 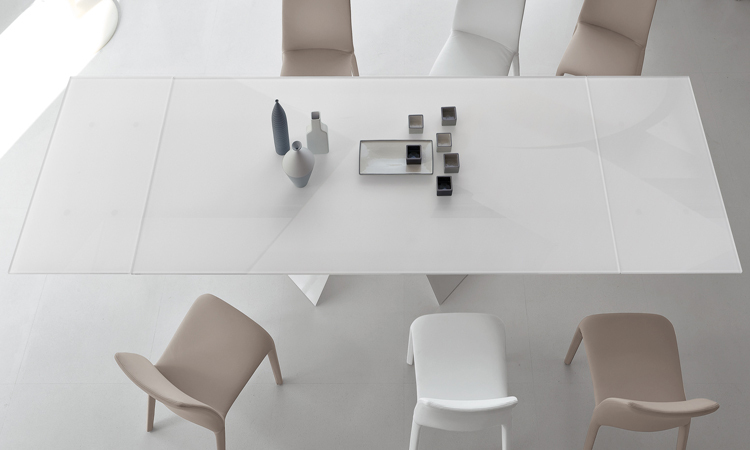 The acid-treated versions have a textured, matt finish as opposed to the smooth, glossy finish of regular glass. 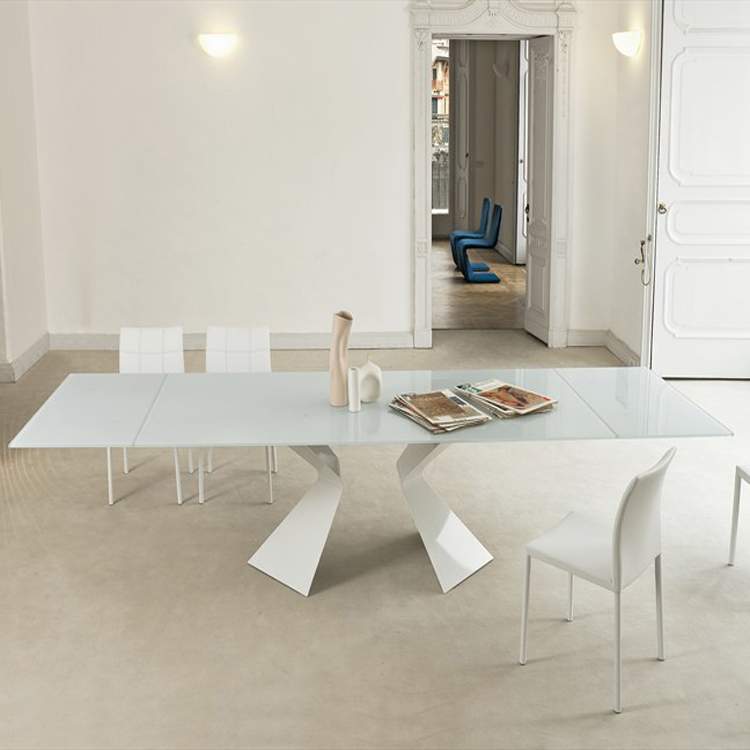 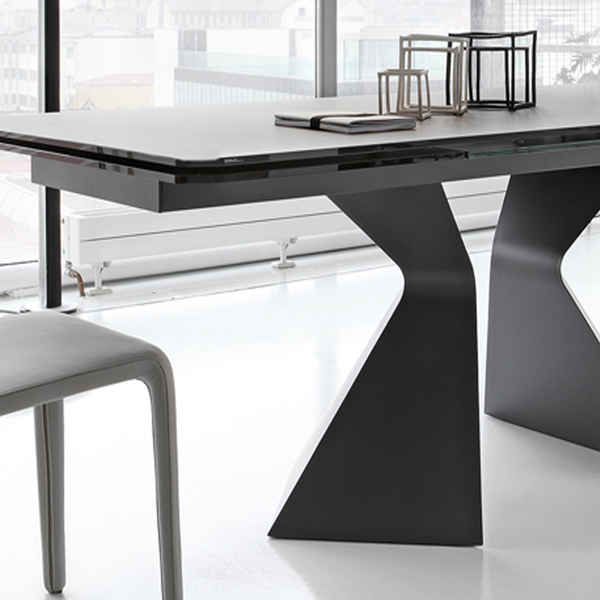 The imposing legs are laser cut from steel and lacquered in glossy white, matt white or matt anthracite gray.